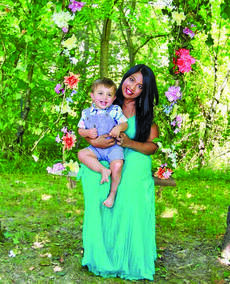 Kansas Gutierrez is the mother of a child with autism. 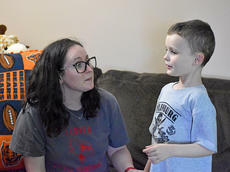 Connor is 7 years old now, but he was just four when Kansas remembered comparing her son and his mannerisms with the other children around him. Local business leaders, long-time customers, former employees and other community members gathered at H+W Sport Shop on Friday to celebrate the store’s 50-year anniversary. For Shaun Hord, current owner of H+W, the event was about celebrating not only the success of the business but to show gratitude for the people who made it possible. Donna Brown, of Campbellsville, is $200,000 richer after playing the Kentucky Lottery’s newest $10 Bluegrass Blowout scratch-off ticket. Brown stopped at Allstar Food Mart in Campbellsville last week to buy her ticket. The store received a bonus of $2,000 for selling the winning ticket. A Taylor County man was arrested last Thursday by the Greensburg Police Department on sexual abuse charges. Samuel Montgomery, 42, of Campbellsville, was arrested by Greensburg police officer Todd Rogers at 10 a.m. CT on April 11 following an investigation into an alleged sexual abuse complaint. Montgomery was charged with three counts of first-degree sexual abuse and was lodged in the Taylor County Detention Center. Rogers was assisted by KSP Trooper Charles Hedgespeth. The Taylor County Extension Homemakers are currently asking for donations of gently used shoes to help provide clean water for those in need. Padminee Bunch, a case manager from Intrust Healthcare Counseling Services in Somerset, will be speaking at an event titled “Love Needs No Words” at the Taylor County Public Library. The first session will take place on April 24 at noon while the second will start at 6 p.m. The event will provide educational materials and other resources for those who have a child on the autism spectrum, struggling with mental illness or with special needs. Campbellsville High School principal Weston Jones had positive news regarding test scores when he gave his principal’s report during Monday’s school board meeting. 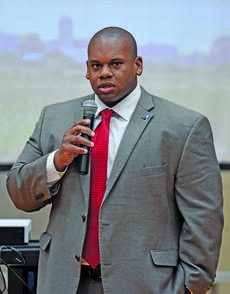 Wayne Lewis, the interim education commissioner for the Commonwealth of Kentucky, visited Campbellsville on April 11 to speak at the Chamber of Commerce’s monthly luncheon, sponsored by the Campbellsville-Taylor County 4th of July Celebration. Arriving in town early, he took the time to tour Taylor County’s schools. The Elk Horn Baptist Church 2019 Honduras Mission Team traveled to the city of Guaimaca on March 8, where they served the community until returning March 15.